Check out our new Documentary Nights! Join the River Center on select evenings for educational and interesting documentaries showcasing a variety of topics. 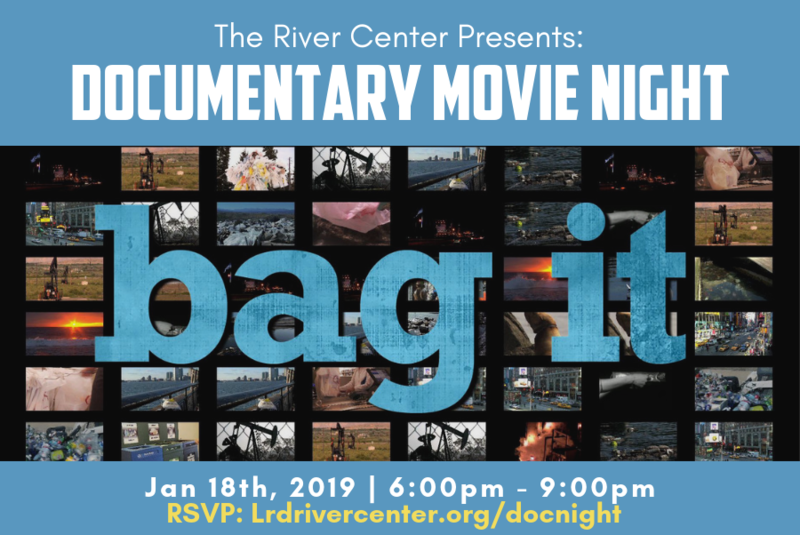 On Friday, January 18th from 6:00 pm to 9:00 pm, we will screen “Bag It.” This film is discusses the effects of plastics on our oceans, environment, and our bodies. We see how our crazy-for-plastic world has finally caught up to us…and what we can do about it. Don’t miss out on this eye-opening event! Interested participants are encouraged to bring bug spray and wear comfortable clothing, event is outdoors. Seating is provided, however guests are allowed to bring lawn chairs. Snacks and food are permitted, Alcohol of any kind is NOT allowed at this event.